An Evanston Police Department squad car. 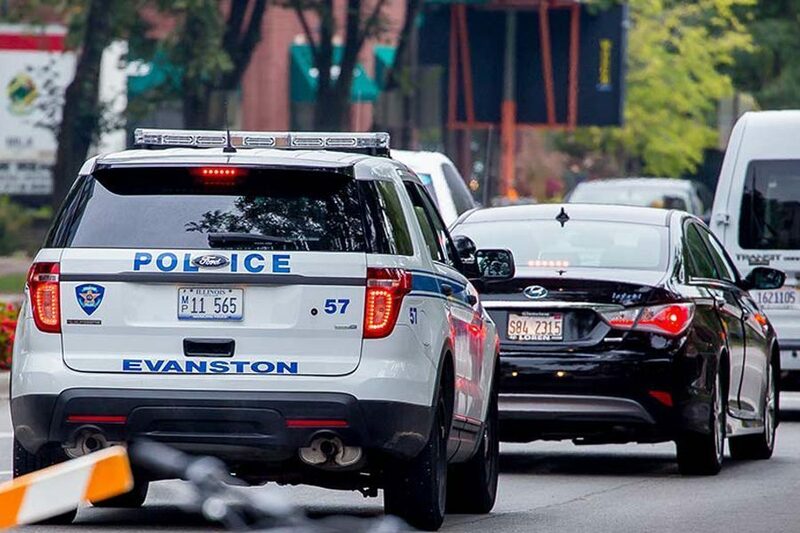 The union representing Evanston police says it doesn’t expect a large impact from a Supreme Court decision banning mandatory union fees. Unions representing Evanston government employees are beginning to feel the impact of a recent Supreme Court decision banning mandatory union payments, just months before labor agreements are up for renegotiation. The largest union representing government employees in Evanston will likely lose up to $3,000 in monthly funds, and at least some union members are looking to drop their membership. The court struck down an Illinois law last week that required government workers who opt out of union membership to pay partial fees. The 5-4 decision reversed four decades of legal precedent and upended laws in 21 additional states. Workers can now elect to opt out of union membership without having to pay fair share fees, which funds the union’s collective bargaining and union representation but excludes political activities. In cases where a union is the exclusive representative of a group of employees, it is obligated to represent all workers regardless of membership status. Jennifer Lin, the city’s human resources division manager, said her office will begin “zeroing out” fair share fees immediately and end paycheck withholds in July. These losses will be a significant blow to unions with higher levels of fair share membership like the Evanston chapter of the American Federation of State, County and Municipal Employees. But even more losses could come if a large number of full dues members choose the fair share option. The decision comes two months after police and firefighters scored wins in union contracts, including wage increases and stipends for bachelor’s degrees. All four contracts with the three unions representing city employees will expire at the end of this year. Critics of the decision say the decline in membership and funds may weaken unions’ ability to negotiate for better working conditions and pay. The full impact of the decision is not immediately clear, as some workers won’t immediately be able to discontinue their membership. Tamara Cummings, general counsel for Illinois Fraternal Order of Police, which represents Evanston police, said she doesn’t predict a large impact. Less than one percent of Evanston police are nonmembers, who pay $5 less for their representation, she said. Potential change in the firefighter’s union membership is unclear, and the difference in fees are unknown, though all of about 99 eligible firefighters are full members. A union spokesperson could not be immediately reached for comment. Evanston’s AFSCME Local 1891 will likely be hit the hardest. About 23 percent eligible employees already opting out of full membership, which is about $11 more than nonmembership for full-time employees, Shawn Pestka, executive vice president of the chapter, said. Though the decision encourages “free loaders,” Pestka said he doesn’t expect a decline in membership or diminished collective bargaining power. Unions will now have to do more to retain and attract members who find it in their economic interest to avoid union fees. The decision required unions to opt-in to membership, rather than the traditional opt-out method, meaning that effort could be even harder. Cummings said the police union is already appealing to its members due to services other than bargaining, including a 24-hour critical incident hotline. Wednesday’s ruling stemmed from a challenge of the Illinois law that required nonmembers of unions to “pay their proportionate share of the costs of the collective bargaining process, contract administration and pursuing matters affecting wages, hours and other conditions of employment,” an apparent attempt to offset the so called “free rider” problem. Opponents of the law argued it required them to participate in speech that could conflict with their political beliefs. Unions say that reasoning is flawed, as nonmembers are entitled to a refund of their union’s political activities, reflected in the difference between fair share fees and full membership dues. Though the court’s liberals said the decision could be disruptive, Justice Alito countered that public-sector unions have survived in settings that don’t require payments. About 80 percent of city employees in Evanston are unionized, reflecting the state’s already high participation rate. Government employees have also been a relatively strong threshold in an otherwise shrinking labor movement. The decision also affects public school teacher unions, which have seen a rise in membership and bargaining success over the past year. Private sector unions, on the other hand, will see no impact.